As with most banana muffin or bread recipes, it starts with you having a bunch of bananas sitting on your counter that you were going to eat or make a smoothie with. But the days went on and now they’re black so your only option is to bake with them. That is what happened to me one morning, so I used all the bananas I had which is about double the amount you find in most recipes. 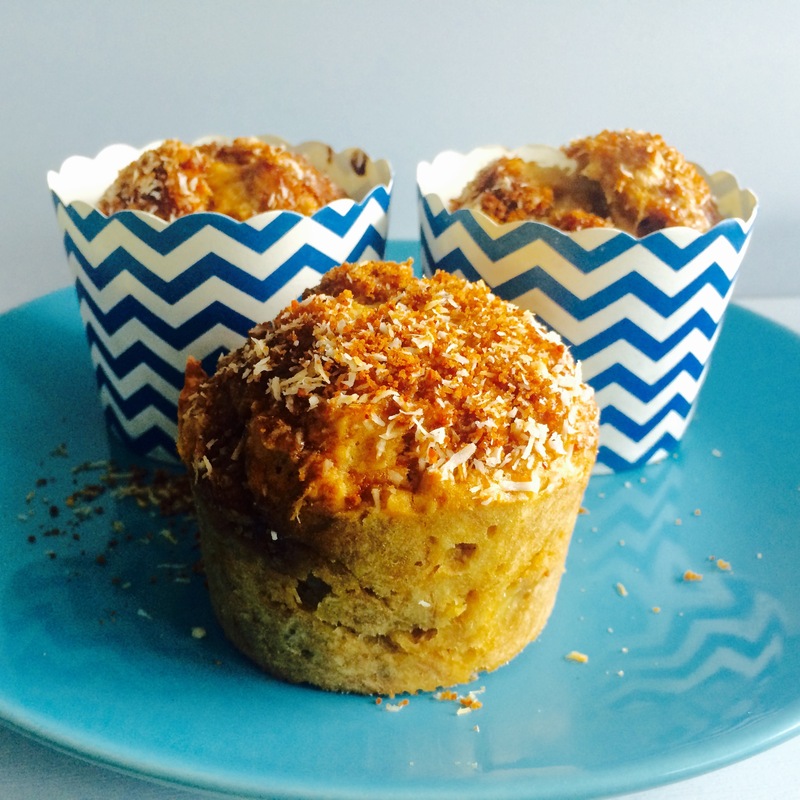 The result is a really moist yet dense and super filling muffins with a rich banana flavour and a hint of coconut in the background. I’m still going through my coconut craze, so I of course added shredded coconut and used coconut sugar instead of white sugar. Put all dry ingredients, flour, baking powder, salt, coconut sugar into a bowl, mix well. Put bananas into another bowl, mash with a fork. Add melted butter, egg, vanilla. Mix well. Add dry ingredients to wet ingredients. Mix until wet and dry ingredients blend together, about 15 stirs. Do not over mix. Add shredded coconut. Mix a few more times. Spoon batter into a muffin tin lined with muffin cups. In a small bowl, mix 2 tbsp. of coconut sugar and 1 tbsp. shredded coconut. Sprinkle over muffins.